Speaking at a news conference at the PM house (his third in as many days) Mr. Gilani said the government had achieved the targets of military operation started some four weeks back in the restive Swat valley and other troubled areas Malakand division, and the IDPs will now start returning under a plan to be chalked out by Special Services Group (SSG). It is not that the millions displaced do not want to return home. In fact, many have expressed their desire to travel back to their towns as soon as possible. Their caution, therefore, seems to be based on a lack of trust in the government to ensure services and security, as well as an overall fatigue from living with host families or in camps. In fact, noted the BBC’s Zubeida Malik, of the two million people displaced by the current conflict, only 280,000 actually reside in the camps. The rest are living in schools or with families. And, while many IDPs in camps receive aid from NGOs and international agencies, those residing with hosts are for the most part unregistered, relying mainly on the goodwill of local citizens. Many of those “off-camp” IDPs have already returned home to Buner, but, noted the Daily Times, received no government support. If the government can ensure safe travel and basic services for the returnees of Swat Valley in this upcoming shift, great. But their responsibility does not end there. The Swat economy is based largely on agriculture and tourism. Given that the first crop has already been lost, and there is not a single tourist to stay in the 600 Swat hotels, the issue of long-term survival must be addressed. How can these citizens maintain a livelihood within this vacuum so that, even after their return, they are no longer dependent on hand-outs? Ultimately, the government needs to strike the balance of ensuring not just a safe but also a sustainable return home. Pakistan is a nation fatigued by conflict, and while the offensive has placed a tremendous strain on the nation’s infrastructure and people, it should not be sped up just to capitalize on the public’s support for the war. It should not be put on turbo speed just because Ramazan [the Muslim month of fasting] is fast-approaching, or because the 3,700 schools currently occupied by IDPs need to be re-opened for the upcoming school year. The displaced people deserve far more than false hope or a repeat of past operations. And, frankly, we all do. Note: This piece was just republished in the Huffington Post! Very exciting! 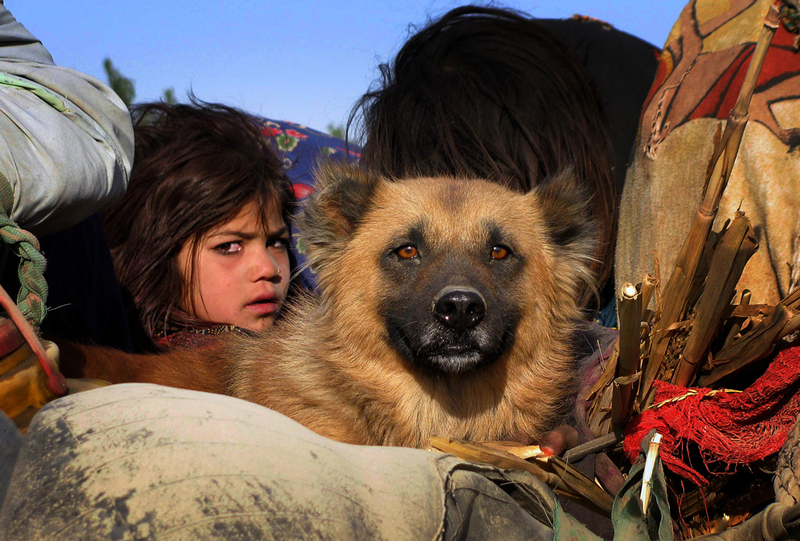 For CHUP’s past posts on the IDP situation in Pakistan, click here. 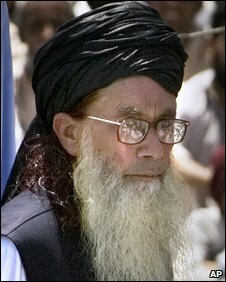 The story conjured up many other examples of how Islamist militants have used their convoluted interpretation of Islam to overpower Pakistan – from the Lal Masjid “moral policewomen” wielding batons and publicly burning DVDs to the public flogging of young girls and banning of women from the marketplace in Swat. A recent poll by World Public Opinion.Org, though, shows that most Pakistanis disagree with such views. According to the poll, which surveyed 1,000 people across the country from May 17 – May 28, 2009 [margin of error is +/- 3.2%], 75% said they believe Sharia law allows women to work, [only 24% said this was not allowed under Islam]. An even larger 83% said Sharia permits girls’ schooling. In comparison, 81% of respondents felt the Pakistani Taliban, if they were allowed control over an area, would not allow women to work, while an equally overwhelming 81% believed they would not allow girls to go to school, [see the graph below]. The results above ultimately show that the majority of polled Pakistanis disagree with the Pakistani Taliban’s interpretation of Sharia. In fact, 81% now see the activities of the Taliban as a critical threat, compared to 34% of those polled in September 2007. Moreover, reported World Public Opinion, Pakistanis “show far less confidence in the potential for the Pakistani Taliban to govern effectively than they do for the government,” [for example, 56% felt the government would provide timely and effective justice in the courts, versus the 14% who chose the Taliban]. At the same time, the poll showed that many people also have low confidence in the government, [26% voted both/neither to the above question]. Therefore, although many Pakistanis don’t prescribe to the same brand of Sharia as the Taliban and most feel they don’t have the competence to govern, this does not necessarily mean they feel the government will do a better job in its wake. The state must therefore work to not only instill confidence in the public, but improve governance all together. I went to an event yesterday where World Public Opinion’s Clay Ramsay presented these findings and RAND Corporation’s Christine Fair and Brookings’ Stephen Cohen commented on the results. Fair also provided a provincial breakdown of the results, but noted that in Pakistan, “there is more variation within provinces than between provinces.” She also related several anecdotes from when she trained the enumerators in Pakistan [those who carried out the 1,000 face-to-face interviews for the survey]. Her and her colleague’s goal, she said, was to eliminate the “don’t knows” that often crop up in survey results, especially with questions related to Al Qaeda. According to Fair, most enumerators didn’t even know what Al Qaeda was, [one woman in a training even thought it was a group associated with Hamid Karzai‘s government] so the training of the enumerators was important in order for them could to properly communicate questions to the respondents. Fair’s talk was significant because she contextualized the results of the World Public Opinion findings, noting the survey was taken [May 2009] soon after Taliban militants had moved into Buner, just 60 miles from the capital. She said the development ultimately changed the view of people in Pakistan, especially the NWFP and Punjab, and more began to view the Taliban as a critical threat. The survey, therefore, was a reflection of this evolving sentiment, with most supporting the military’s campaign against the militants, [see below chart]. The issue of Pakistani public opinion was also raised by Stephen Cohen, who felt that there is no such thing as “Pakistani public opinion,” a point that I feel is important to debate on this forum. Do you think a national Pakistani identity exists, or is it something created or forced by these polls? And, if you don’t agree, are identities formed in Pakistan along provincial lines? In terms of young Pakistanis, do you think that new media platforms like Facebook, Twitter, and blogs can be instrumental in forming nationalist sentiment?